Great location close to all the action in Olde Town Arvada! With so many updates, private back yard and over-sized garage this affordable home is ready for a new owner. 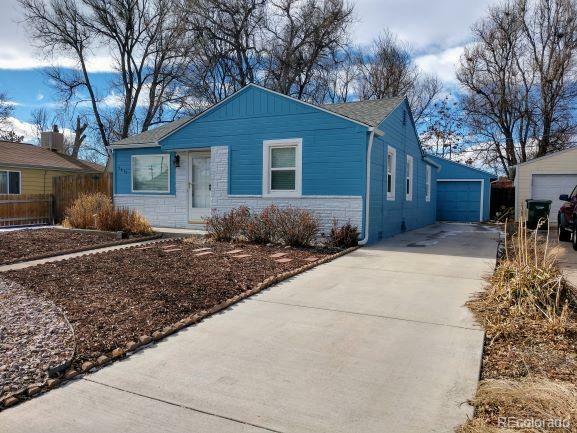 Updates include: both house and garage roofs, gutters/downspouts, windows, electrical panel, exterior doors, appliances, kitchen and bath cabinets, granite counter-tops, concrete driveway, paint, ceiling fans, garden window, washer / dryer and A/C!! Office space or bonus room between the bedrooms. Backyard has a 6 foot privacy fence and beautiful flower beds. Walking distance to the G line commuter rail. Shopping, highway access and schools are all very close.